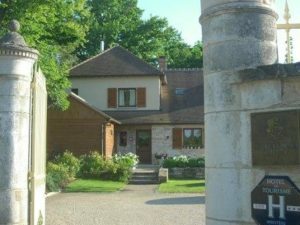 This intimate hotel is a comfortable way to enjoy Burgundy and the warm welcome of Suzanne Gazagnes, owner and host, ensures a delightful and unique experience. The hotel boasts great views of the surrounding vineyards and you can expect exceptional service here, as Suzanne personally looks after her guests with home-made breakfasts and information on Burgundy’s history, gastronomy and countryside. Puligny-Montrachet is a small village, and arguably one of the best producers of white wine world-wide. La Chouette is on the edge of the village square, with panoramic views of these world famous vineyards. An enclosed courtyard surrounded by trees, a terrace and a balcony in one of the rooms offers guests the opportunity to enjoy the Burgundy countryside at their leisure. With just six rooms, you may begin to feel more like a family friend than a guest at a hotel. La Chouette is all about the personal touches; the homemade breakfast is always fresh and a great way to start the day and there is also Suzanne’s personal library and CD collection to enjoy. The six rooms are all of the same high standard. Each room is spacious with a modern, en-suite bathroom. 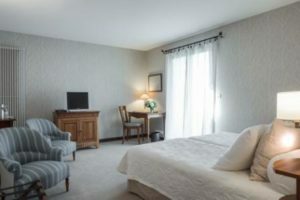 Each room has been personally designed by Suzanne and there is a particularly homely feel that few hotels have achieved. Alongside the home-from-home feeling are modern conveniences to make you feel even more comfortable, such as direct dial telephones, internet access and satellite television.